Jose Mourinho signed Pedro for Chelsea during the summer of 2015 for a substantial £21 million, although the forward was believed to have been in advanced talks with Manchester United. The season eventually saw Jose Mourinho sacked, leaving the club in a 16th place position in the league. But this season, under the management of Antonio Conte, Chelsea seem to be back on track to competing for titles. 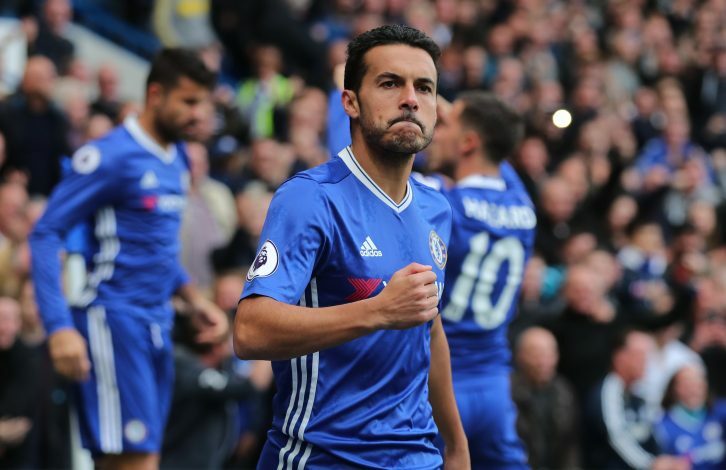 Pedro made his 50th appearance for Chelsea last weekend, when he scored within 30 seconds of kickoff against Manchester United – a match which the Blues won 4-0. Over the summer of 2016, Pedro wasn’t heavily linked with a transfer away from the club, given that he had only been in London for a season. However, the player himself has confirmed that he spoke with Barcelona president, Josep Maria Bartomeu. The Spanish International told RAC-1: “I spoke to [Barcelona president Josep Maria] Bartomeu and it looked as though I’d return to Barcelona last summer, but I think the talks were given more importance than they really had. “It is difficult to return, even with everything you remember from your old club. If you asked me if I’d like to go back, my answer is obvious, because it is a great club where I have great teammates and a fan base that appreciates me. Pedro spent his entire professional career playing for Barcelona before moving to Chelsea in 2015. He made 321 appearances and scored 99 goals for the Spanish Giants, and also helped them lift 3 UEFA Champions League trophies, 5 La Liga titles, and 3 Copa del Rey trophies.